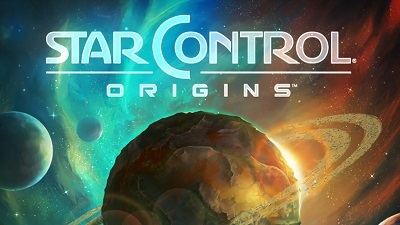 Today, Stardock Entertainment released the highly anticipated science-fiction adventure game, Star Control: Origins. Take command of Earth’s first and only interstellar starship and save the world...at all costs and by any means necessary. Explore the galaxy, investigate new worlds, contact new civilizations and battle hostile aliens in this open universe space-adventure role-playing game. Set in the year 2088, humanity has discovered that it is not alone in the universe. Worse, it is catastrophically unprepared to deal with what's out there. In response, Star Control is formed, and the player is selected to command the crew of the U.E.S. Vindicator. "You and your crew are up against alien civilizations that have walked amongst the stars for a millennium. But humans are very resourceful in their ability to adapt alien technology when the situation calls for it." Players will find their time split between exploring distant solar systems, landing on exotic planets, navigating hyperspace, and interacting with alien species. "This really is about exploring unique new worlds and discovering incredible new civilizations," said Wardell. "This is a game that focuses on telling stories and giving players meaningful ways to engage with those stories." Besides the primary mission of saving Earth from destruction at the hands of hostile aliens, players will find a universe that is filled with history and lore as they encounter civilizations in various stages of development who have their own tragedies and ambitions. "Star Control isn't a game that tells you what to do" said Derek Paxton, General Manager of Stardock Entertainment. "Where you go and what you do is up to you. Your decisions can affect the shape and direction of galactic events." To deliver the unique gameplay of Star Control: Origins, Stardock developed the new Cider game engine on top of Oxide Interactive's Nitrous. With Cider, Stardock was able to build its RPG on top of a galactic simulator, run by its own artificial intelligence. "When you fly your ship into an alien empire's territory, you're going to not just see one type of ship. You'll find freighters, transports, survey ships, mining ships, security forces, etc. all going about their business and reacting you based on what makes sense under the circumstances," said Wardell. "The Cider engine made it practical for us flesh out the game's universe with exquisite detail." In addition to the main adventure game, Star Control: Origins also includes a combat game called Fleet Battles. Players assemble a fleet of ships and then take them into combat against an AI fleet or fleets controlled by others either next to them or via the Internet. The game also includes a crafting system to allow players to design their own ships, create their own adventures and planetary structures, then share them with other players. Stardock's goal with Star Control: Origins is to combine space exploration and compelling stories together into a game experience people will love. "In Star Control, exploration has a purpose," said Wardell. "You aren't just landing on planets or exploring new star systems for their own sake. You are The Captain and we have thousands of stories we're excited to tell you in this universe." The Star Control: Origins Original Soundtrack also released today, featuring 45 tracks of over two hours of new music from and inspired by the Star Control: Origins game. The music is available on all major stores for $9.99 USD including iTunes, Amazon Music, Google Play, and Steam, and can be streamed by subscribers to Spotify, Pandora, YouTube Music, Slacker Radio and more.